SALEM, Mass. 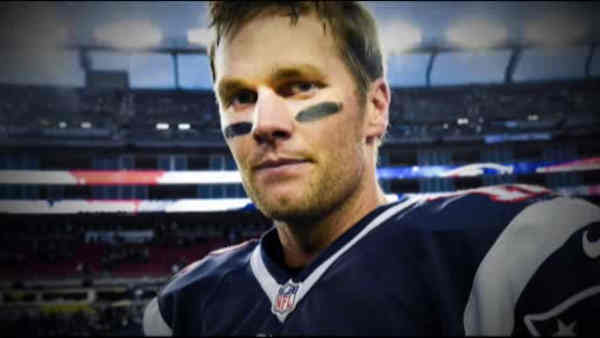 -- ew England Patriots quarterback Tom Brady said Thursday night the scandal surrounding his use of deflated footballs during the NFL playoffs last season hasn't detracted in any way from his Super Bowl title. "Absolutely not," Brady told a friendly university crowd in his first public appearance since an NFL investigation concluded Brady likely knew Patriots employees were cheating. "We earned everything we got and achieved as a team, and I am proud of that and so are our fans," he said. Brady declined to discuss his thoughts about the 243-page report that said that he was likely at least aware two team employees were breaking rules by deflating footballs for him. "I don't really have any reaction. It has only been 30 hours, I've not had much time to digest it," Brady said. "When I do I will be sure to let you know how I feel about it. And everybody else." Brady said he will address things more once things play out and he is more comfortable. Brady is still waiting to see whether the league will discipline him with a fine, suspension or both. "There is a process going forward and I am involved in this process," he said. Asked whether public backlash is bothering him, Brady said he accepts his role as a public figure and has people who support him and help him get through it. "As a human you care about what people think. I think also as a public figure you learn not everyone is going to like you," he said. "Good, bad or indifferent there are a lot of people who don't like Tom Brady, and I am OK with that." The report by Ted Wells, an independent investigator hired by the NFL, found some of Brady's claims implausible in explaining why balls were underinflated during the Patriots' 45-7 win against Indianapolis in the AFC title game last season. The superstar quarterback spoke at a Q&A session moderated by sportscaster Jim Gray during a previously scheduled, sold-out event at Salem State University. He arrived by helicopter for the talk on leadership, avoiding a long line of fans outside and media waiting for him to enter. The event was delayed more than 30 minutes to allow fans to file in, including some wearing Brady jerseys. During the wait, the crowd chanted "Brady" and "MVP," then gave him a standing ovation as he walked in. Gray said the session would largely stick to subjects they planned previously when they arranged the talk 4 months ago. But he acknowledged the difficulty in avoiding one of the hottest topics in sports. "There's an elephant in the room," Gray said. Gray shot back: "You might be the only one in the room who does not see it." Gray did not ask Brady directly whether he cheated or about specific issues raised in the report, including text messages and phone conversations that indicated the employees were trading autographed footballs and sneakers for doctoring the balls for Brady. Brady's agent, Don Yee, said earlier Thursday that the NFL was determined to blame Brady, while the investigation omitted key facts and buried others. The team didn't respond to requests from The Associated Press seeking comment about the report from Brady and Patriots coach Bill Belichick. The Patriots didn't make anyone available on Thursday, canceling prior plans to allow two players to be interviewed during voluntary team workouts held at the team's headquarters in Foxborough. The report didn't find any evidence that Belichick or the coaching staff knew anything about deflating the balls. Wells concluded there was no plausible explanation for the deflated footballs besides deliberate tampering. Text messages to and about Brady led to the conclusions that he was aware, if not more actively involved, in the scheme. The NFL is now using Wells' findings as it considers potential punishment. Brady, the MVP of the 2015 Super Bowl, could be fined or face a suspension. The Patriots are scheduled to play their opener against the Steelers in the kickoff game of the NFL regular season on Sept. 10.